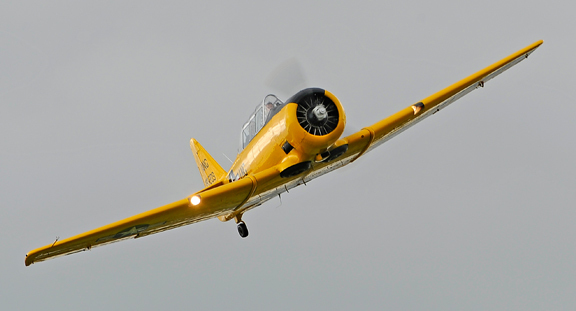 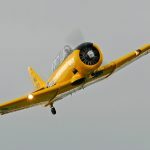 A unique once in a lifetime opportunity to fly for 30 minutes in a T6 Harvard - which is an absolute powerhouse of an aircraft - whilst for 10 of those special minutes you will be wing to wing with an original Spitfire (type variable). 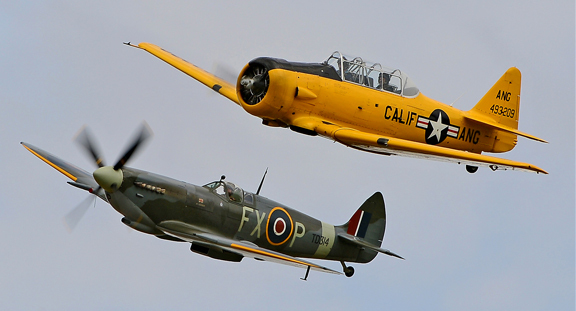 This opportunity for a one to one formation flight with a Spitfire is a very rare and unique experience, made even more amazing when you're flying in the same type of aircraft used to train Spitfire pilots who would have fought during the Battle of Britain. 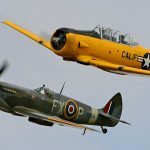 As the Spitfire draws alongside not only will you have a front row VIP seat to view this iconic aircraft but you will also be able to listen into the communications between the pilots and air traffic control as the Spitfire pilot performs to show her at her best! 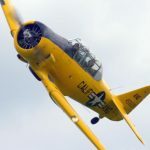 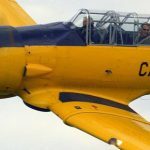 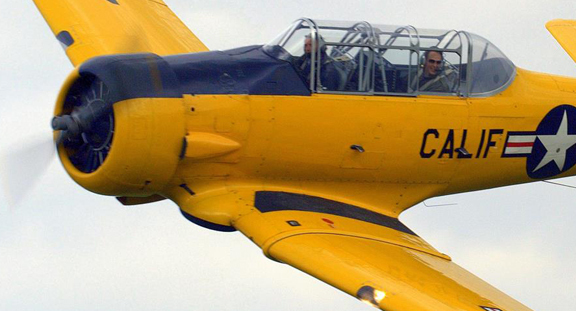 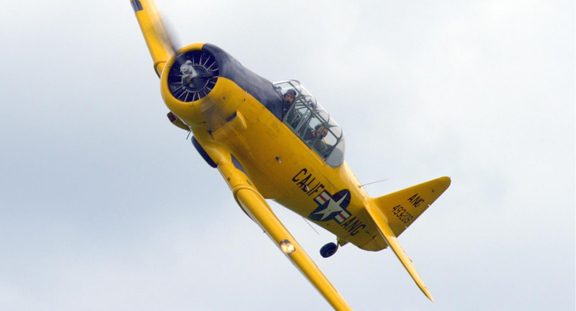 During your flying lesson in our Harvard you will experience the sights, sounds and smells of the cockpit during flight and take the controls to experience what skills and techniques it takes to fly such an historic aircraft.